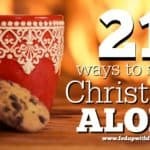 As soon as people finished off the last bits of their Halloween candy, my Facebook and Bloglovin’ feeds were inundated with articles about how to survive the holidays with chronic illness. For a moment, I started to join the fray and write my own version, but after seeing headline after headline, it became clear to me I probably have very little to add in the way of advice on that subject. My fellow bloggers have it covered! 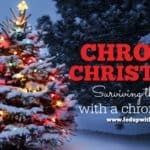 So instead of regurgitating the same material, I’ve rounded up a few of the best articles I’ve encountered on how to get through the holiday season with chronic health challenges. 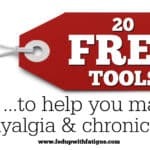 And ironically, while I was compiling this list, I actually found a post I had written last year for National Pain Report on the very same subject. I had completely forgotten about it! I’ve tacked that one onto the end for anyone who is interested in reading it. 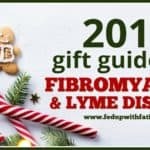 If you want more holiday-related articles, including gift guides and more, follow my Pinterest board, “Celebrating the holidays with chronic illness.” I’ll be adding links to it throughout the holiday season! 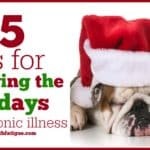 Now it’s your turn: What’s your best tip for getting through the holidays when you’re chronically ill? 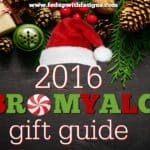 Good post and summary! 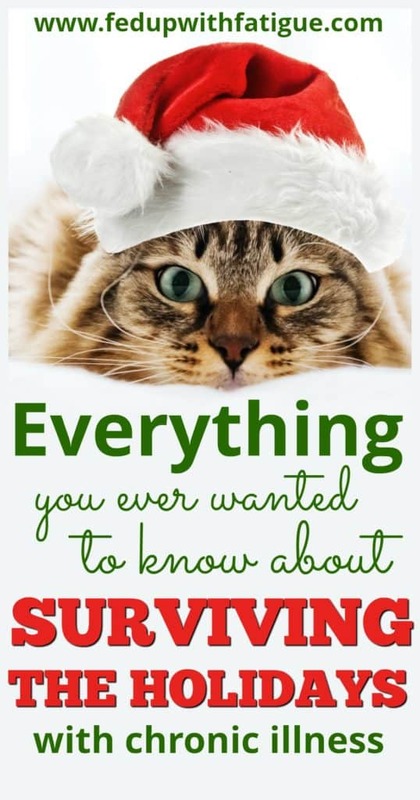 Lots of useful information! Most recently found you and nothing can top that for me ! I thank God for you . Thank you so much, Jeri. Your comment has made my week! Many blessings to you and your family this holiday season.